One of the highlights of working with WIRED as the Digital Experience Agency for their 25th Anniversary, other than getting to pet the Boston Robotics dog, was getting to spend time with WIRED co-founders Louis Rossetto and Jane Metcalfe. It was amazing to hear them talk about the origins of WIRED and San Francisco in the early 90s, in some ways describing WIRED as the ultimate startup, fueled by vision, grit and desktop publishing. 25 years ago they set sail in their “pirate ship” and over the next quarter century have fine tuned it into a “cruise ship” comfortably docked at the Port of San Francisco for its anniversary. What was even more amazing was to get to ask them, “If you were starting WIRED now, rather than in 1993, what would it look like?” and hear the two of them finish each other’s sentences while talking about the things that really inspire them today. WIRED set sail just as America was getting online, before the browser, before Microsoft began exploring the Internet, before the return of Jobs, the rise of Musk, before Google, the launch of Amazon and the dotcom crash and it’s still standing, giving us, its readers, a front row seat for the technology revolution. The 25th Anniversary was like an episode of the Love Boat, where you never knew who was going to pop up next. From the kickoff at WIRED HQ, where Editor-in-Chief Nicholas Thompson spoke with Stripe Co-Founder Patrick Collison (who was 5 when WIRED started), TaskRabbit CEO Stacy Brown-Philpot and LinkedIn CEO Jeff Weiner, you got the feeling that this was more than just a party. Over the next four days, WIRED celebrated its status as the ultimate influencer, partied like it was 1999 and ended it with a TED-worthy lineup of speakers during Monday’s Business Summit including: Sundar Pichai from Google, Satya Nadella from Microsoft, Marc Benioff from Salesforce, Jony Ive from Apple with Anna Wintour and a surprise appearance by Jeff Bezos, who spoke mainly about his space company Blue Origin. In addition to big names were some big ideas, including Jiwoo Lee, an 18 year old student at Stanford, who has been editing genetic sequences using Crispr since she was 14 ; Sebastian Thrun’s Kittyhawk (because we couldn’t have the future without a flying car) and Keller Rinaudo, whose company Zipline is flying blood and critical medical supplies around Rwanda via unmanned aerial vehicles. 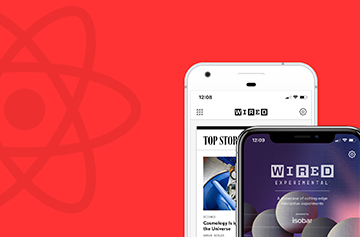 As WIRED moves in on their second quarter century, we’re excited to have the opportunity to work with them in exploring the future in the Experimental section of the new Get WIRED app. 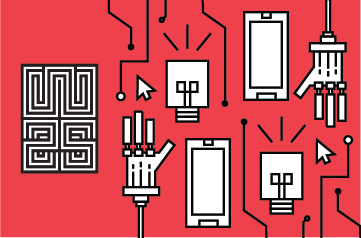 In the coming months we’ll be partnering with the editorial team at WIRED to create new models of storytelling, interactive media and user engagement allowing them to connect with their readers in ways that barely seemed imaginable twenty five years ago. From Quantum Computing to Artificial Intelligence and Augmented Reality, our goal is to bring the WIRED reader along for the ride. Stay tuned some pretty exciting things to come!